are these trigger guards metal or polymer? They are made from good Aluminum and very sturdy. does it come with the roll pin? I would recommend this item and all palmetto products, good buys !!! Just your basic GI trigger guard but it works. Nicely made. 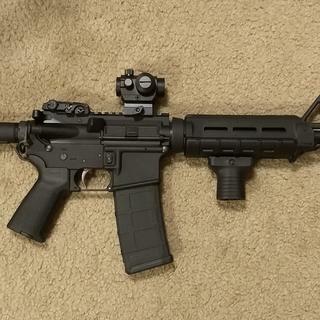 I purchased this to use with my Magpul rifle build kit. I prefer the GI trigger guards because, I can still use the trigger with heavy gloves on by pushing the detent and hinging the trigger guard away from the trigger.